Honor recently announced that two of the leading home care agencies in Greater Sacramento— Live Well at Home by Eskaton and Indecare —have joined the Honor Care Network, a growing partnership of home care agencies dedicated to improving the quality standards of home care. Live Well at Home is the non-medical home care division of Eskaton, a premier nonprofit provider of aging services throughout Northern California for more than 50 years. 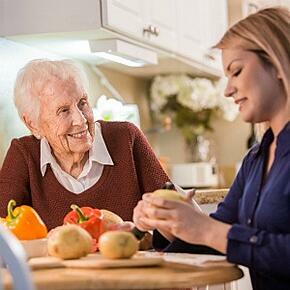 Live Well at Home, one of the most respected senior care experts in the Greater Sacramento area, is known for its innovative approach to in-home care as well as its ability to provide a full spectrum of care throughout every stage of aging. Indecare was co-founded by Alan and Karen Fisher, who have deep roots in the Sacramento community where they have lived for over 25 years. The Fishers, both graduates of the University of California at Davis, started Indecare 12 years ago after a personal experience managing care at home for a family member. Indecare has built and exceptional reputation as an agency that provides high-touch care, personalized to meet the unique needs of each family. Every day, 10,000 people turn 65 in the U.S. as baby boomers reach retirement age. California Department of Finance forecasts show a 180 percent increase in Sacramento County’s older population by 2060. It is estimated that California will need 250,000 more personal caregivers in the next eight years—more than half the current population of Sacramento. While both Live Well at Home and Indecare will remain independent businesses, by joining the Honor Care Network both home care agencies gain access to more caregivers, new technology, and a complete support operations solution. Honor handles all caregiver recruiting, wage and hour, and industry compliance for its partners. The technology platform helps home care agencies schedule care more easily and have greater visibility into care. By reducing the day-to-day back office challenges of running an agency, agencies can focus on growing their business, supporting their clients, and delivering the best care experience. Honor, a San Francisco-based home care company, is the founder of the Honor Care Network, a pioneering national network of home care providers. Honor is the first company ever to bring scalable workforce management and technology expertise together with the high-touch, personalized care of local homegrown care agencies. Working with Care Network Partners, Honor helps older adults live safely and comfortably in their own homes by enabling reliable, transparent, high-quality care. Founded in 2014, Honor is now one of the fastest-growing, non-medical home care companies in the U.S., currently providing care to families in California, Texas, and New Mexico. The mission of Live Well at Home is to deliver high-quality in-home care seniors need to enjoy the highest level of independence and quality of life achievable, wherever they call home. To learn more call 916-459-3220 or visit www.livewellathome.com.